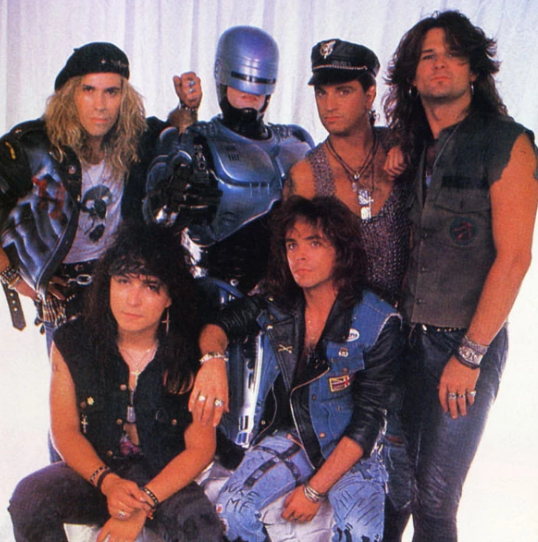 Home›Movie Reviews›RoboCop 2 and 3 - Shout! Factory's Reissues of the RoboCop Sequels! 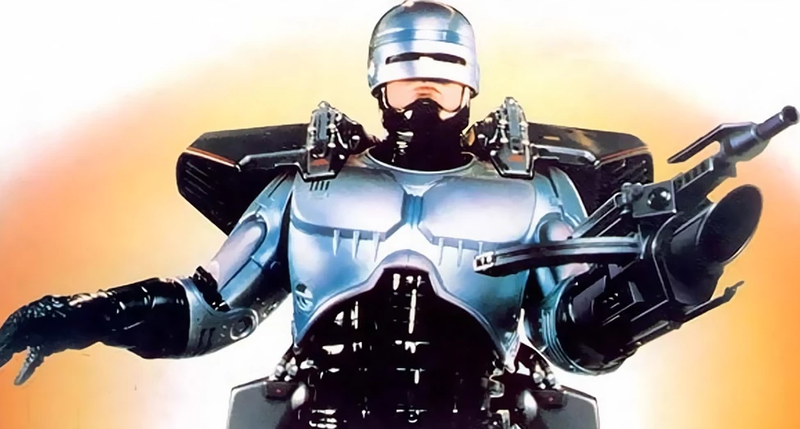 The first RoboCop film, released in 1987, was an immediate hit. So, what is a movie studio with a hit on its hands to do? The RoboCop series has had a rather spotty history on Blu-ray Disc, with initial releases of the three films getting subpar discs with questionable transfers and lacking extras. This was remedied in part by the release of a remastered edition of the first film in 2014, but what of the sequels, 1990’s RoboCop 2, and 1993’s RoboCop 3? Leave it to the good people at Shout! Factory to pick up the slack here; they have now released “Special Editions” of the second and third films in the series under their “Scream! Factory” banner, with reversible cover art and a wealth of new bonus materials. Nancy Allen portrays the supporting character of Officer Anne Lewis. The first film saw police officer Alex Murphy killed in the line of duty and revived by the Omni Consumer Products corporation, a massive organization in the process of taking over a bankrupt Detroit and privately running the city’s police departments. The newly revived Murphy had lost most of his memories but retained traces of them as he did battle with gangs and corrupt OCP officials. The first film certainly ended on a high note, and the movie’s mixture of graphic violence, cerebral storytelling, and satire made it a classic for the ages. 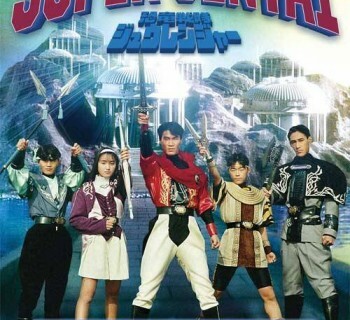 For the unfamiliar, the sequels were unable to replicate the success and positive reputation of the original movie, yet have still developed a cult following over the years. One major noteworthy aspect of the sequels, however, is that they feature writing from legendary comic book man Frank Miller, although many of his ideas were excised in rewrites (these ideas would later make it into Miller's own RoboCop comics). 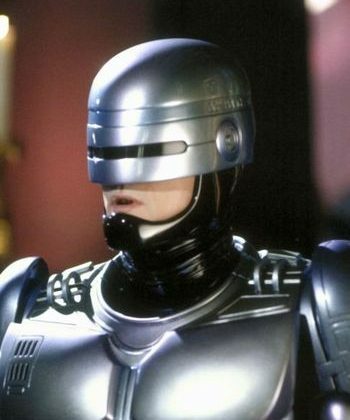 A remake of the first film, also simply titled RoboCop, was released in 2014 to a mixed critical reception. There are also been both live action and animated television series. 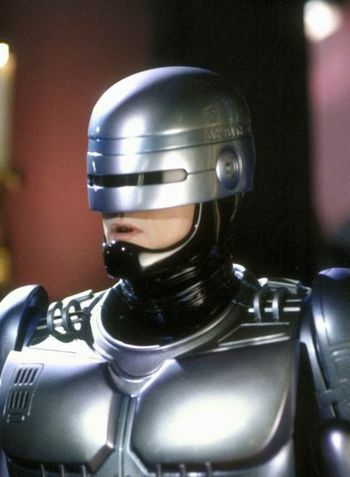 RoboCop 2 is set following the events of the first film, with the OCP corporation continuing to receive heat from the public over the controversy of the RoboCop program. Attempts are made to tamper with our hero’s programming, which leads to his efficiency on the battlefield being negatively impacted. Meanwhile, drug dealers are marketing and spreading Nuke, a deadly drug that is leaving an impact on the population. 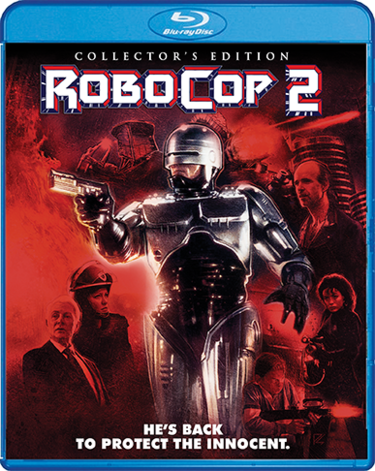 When RoboCop apprehends and mortally wounds one of the city’s leading drug dealers, OCP officials confiscate his remains and use them to craft RoboCop 2, a new robot planned to be the next stage in the program. RoboCop 2 has a lot of interesting ideas, but they never quite seem to come together. Despite direction by the late, great Irvin Kershner (The Empire Strikes Back, Never Say Never Again) who was brought in at the last minute, the movie jumps haphazardly from one subplot to the next. There are some great action scenes and more of the fun “satirical advertisements” that made the first movie great, but the emphasis of the movie is all over the place, and not in the best of ways. Classic hard rock band Babylon AD contributed their song "The Kid Goes Wild" to the film's soundtrack. A major weakness of RoboCop 2 is the film’s decision to focus, of all things, LESS on the RoboCop character and more on everything else going on with OCP and their own agenda. While the corporate greed subplot (of this film and the series in general) makes for some interesting viewing, at times it feels like a tragic misstep. This means that Anne Lewis, one of the best and most important characters from the first film, is cast aside and becomes nothing more than a tertiary character. The gangsters and corrupt corporate personalities in this film have nothing on those from the original movie. One of my favorite elements about the first movie was RoboCop retaining traces of his human memory and trying to piece together his past. This movie starts out with his wife approaching him and the corporation to potentially file suit and see if her late husband remembers her… yet this subplot is almost immediately discarded and never mentioned again, making for a major wasted opportunity. That said, there is still a lot of good cheesy fun to be had here. Critics at the time of the film’s release were quick to bash the movie for one of the villains being a potty-mouthed pre-teen gangster, but I thought this just added to the charm of the film. The filmmakers do still manage to craft some good action sequences, but at the end of the day it reeks of “sequel syndrome” and endless tinkering with the screenplay that never quite manages to come together. It is a fun movie that is not without its charms, but don’t expect it to equal the original film. 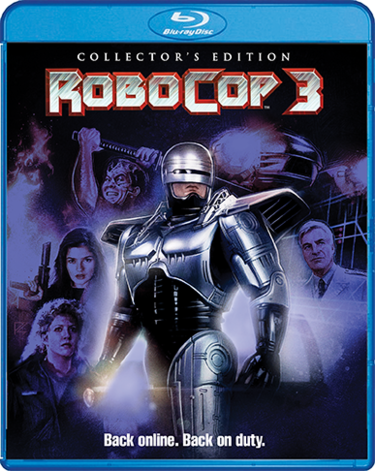 RoboCop 3 is the third and final film in the series. This time around, the OCP corporation is being taken over by a Japanese conglomerate. People are being forced out of their houses and into rehabilitation camps for placement in the future Delta City. A group of freedom fighters struggles to strike back and be free from the corporate enemy trying to take their homes, and are later joined by RoboCop in their struggle. But the Japanese company taking over OCP has other plans for these refugees, including unleashing deadly samurai soldiers to do battle with our cybernetic hero. RoboCop 3 is, in part, the result of a studio wanting to create a film that would have more widespread appeal and a more mainstream audience. As a result, this entry was rated PG-13, and even has a child as a major supporting protagonist. The movie does bring back some elements of the original that the second was lacking, namely a musical score from Basil Poledouris (Lonesome Dove, Starship Troopers) and a slightly larger role for the Anne Lewis character, who was relegated to sideline status in the second movie. But the toning down of the franchise and a predictable, paint-by-numbers plot did not sit well with the moviegoing public. Robo gets some new equipment to battle the bad guys in the third movie. It is tough to say exactly where RoboCop 3 went wrong, though toning the violence and atmosphere down to appeal more to youths may have been a major part of the equation, as well as the recasting of the title character. Like its predecessor, the writing is a mess. And by the end of the movie, you will see the series at its most over-the-top and ridiculous. While I do not believe that the third and final film in the trilogy quite deserves all the hate that it gets (3% on Rotten Tomatoes), I can see where the moviegoing public would be disappointed in the end result. It is a decent popcorn movie, but even the scattershot second movie is a better film. It is worth viewing at least one for the curious, though I cannot see myself revisiting this one as much as its predecessors. Shout! Factory’s reissues of these films look and sound great; I do not own the earlier releases of these films on Blu-ray Disc so I cannot make a direct comparison between those, but the video quality on these releases is very good. There are some minor issues due to the special effects of the day and the original filming techniques here and there; for example, the scenes from RoboCop’s POV and the “television” sequences appear softer due to how they were filmed on tape rather than film. The audio is loud and clear throughout without any major issues worth mentioning. Shout! Factory has also gone the extra mile and given fans a wealth of new bonus features on these discs, in the form of commentary tracks and new documentaries and behind-the-scenes footage, including archival footage from the set, and new interviews with surviving cast and crew members. Anyone who was a fan of the series will want to watch these features; you will learn a great deal about the production of the movies and how they turned out the way they did, for better or for worse. If you are a fan of the RoboCop franchise and want to add the sequels to your collection, these are the versions to own. The MSRPs of these discs are a little on the steep side, so I would wait for them to go on sale before making the purchase, though. Even if you bought earlier releases of the movies, Shout! Factory’s quality audio and video transfers coupled with fantastic new bonus features make these discs recommended, even if the films themselves cannot hold a candle to the original 1987 installment. Photos are taken from the official Shout! Factory website and Robocop Wiki, and are the copyright of their respective owners. For promotional purposes only. All rights reserved. 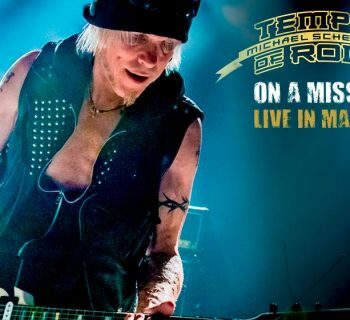 Temple of Rock - Michael Schenker's New Band Delivers With This Concert Disc! Deep Purple Phoenix Rising - An Intriguing Documentary on One of Deep Purple's Darkest and Most Turbulent Times!